Aspirants ambitious to take admission in MBA, PGPM and Ph.D programmes are required to fill IBSAT Application Form 2018. All essential details related to IBSAT Notification as online registration process, significant dates has been presented on this page. Willing contenders are informed that the last date for submission of application form is 12, December 2017. Willing contenders must ensure the eligibility criteria and apply for this latest notification via online mode as well as offline mode. For acquiring remaining information concerning IBSAT Application Form aspirants need to go through the below segment of this page which is well created by our hard working and inspired team members. Aspirants, who have completed Graduation in any discipline with at least 50% and also got above marks with medium of instruction as English for well know university or institute are eligible to apply for IBSAT Notification. Candidates must have done 15 years of education on (10+2+3 or 10+2+4 basis). Those who will not meeting eligibility criteria of English medium in graduation they have to submit the TOEFL/ NELT/ IELTS score latest by May 31, 2018. It is informed to applicants, who are pursuing final year bachelor’s degree course are also applicable to fill the application form. Candidates who want to collect additional information, they are required to follow IBSAT Application Form link. Through this link, aspirants can know about exam details, application fee details, admission process etc. On the home page, aspirants should choose the “Admission” tab which is available on the menu bar, top of the home page. Now choose the suitable link and must ensure the eligibility criteria with the help of official notification. After ensuring the eligibility criteria go through the “Apply Online” link. Fill the application form with essential details and upload the mandatory documents Make payment of your application fee through debit card or credit card. For the final submission, individuals should press the ‘Submit’ Button and don’t forget to take the hard copy of it. Candidates willing to fill the form via offline mode need to purchase the application form through nearest IBS marketing offices. Candidates must fill the ICFAI Business School Aptitude Test Application form in prescribed manner. Then attach all relevant documents and send it to the here indicated postal address. 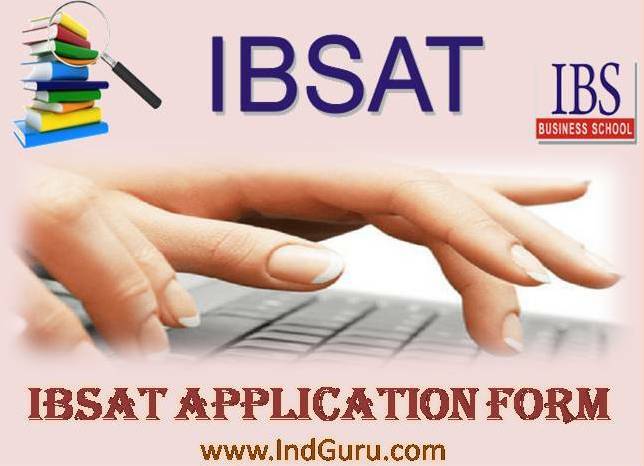 Hope you acquire relevant information related to the IBSAT Application Form 2018 from this page. Candidates are suggested to regular visit on our web portal for acquiring additional information, so stay keeps in touch with us.